He/she is the single who has broken to the top world, courage, bravery, high flight. 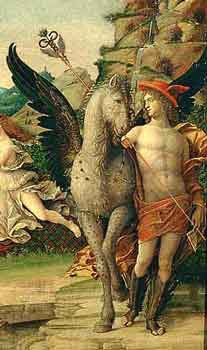 Our civilisation passes through a temptation arrogance, through Pegasus. The highest role of the person which can change world events is connected With Pegasus also…. With “Clock” of it was not. There all - small screws in one system….And further there is a comprehension of the person. 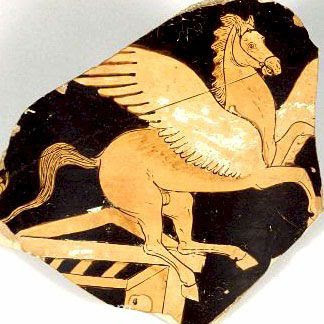 To saddle a winged horse, to be able to rise over any elements…. 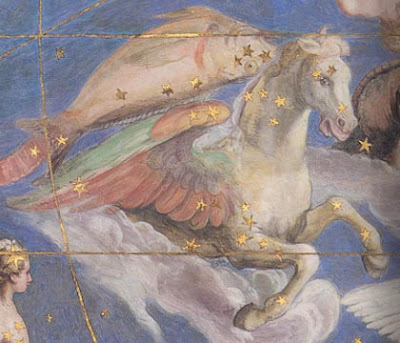 The horse was also placed amongst the stars as a constellation, whose rising marked the arrival of the warmer weather of spring and seasonal rainstorms. As such he was often named thunderbolt-bearer of Zeus. 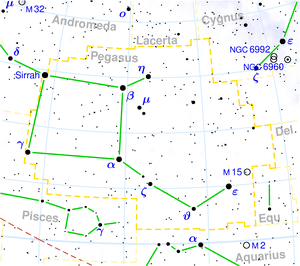 In the constellation myths, Pegasos ("Springing Forth") may have represented the blooming of spring whilst Khimaira ("Frosty Air" ?) (perhaps winter-rising Capricorn) was the cold chill of winter…. "Pegasus, offspring of Neptunus (Poseidon) and the Gorgon Medusa, who on Helicon, a mountain of Boeotia, opened up a spring by striking the rock with his hoof. From him the spring is called Hippocrene."